Amazon Web Services (AWS) has once again proved to be a pioneer in cloud computing platform by beating four of its big competitors namely- Microsoft, Alibaba, Google and IBM by earning a whopping net worth of 1.3 billion USD, which is not even close to the combined return of these four big industry honchos. This success has encouraged AWS to enter the domain of Big Data Analytics, Artificial Intelligence (AI), and the Internet of Things (IoT). Amazon cloud computing services have served as an Infrastructure as a Service (IaaS) and Platform as a Service (PasS) model in the past years. Amazon Web Services cloud computing has received an overwhelming response in the market because of which Amazon is extremely enthusiastic about exploring new areas. To support this, Amazon cloud computing services has disposed of various services that are categorized as data analytics, AI, and IoT. 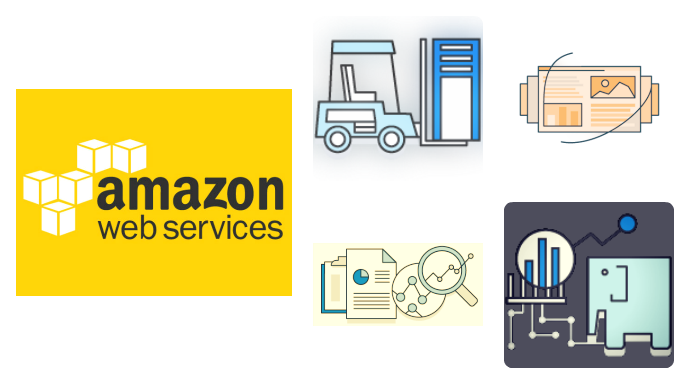 In this post, we discuss some of the very popular services that are responsible for increasing the analytical insights of Amazon Web Services and taking it to great heights. Have a look. 1. Amazon Elasticsearch Service: Amazon Elasticsearch is one of the most easy to use API’s that comes with real-time analytic delivery and includes built-in integration to Kibana and Logstash. Used mostly for log analytics, full-text search and application monitoring, it also provides free access to Elasticsearch APIs to integrate the code that are already in use. 2. Amazon Athena: Another very interesting API, Amazon Athena provide query running service where the user only pays for the queries he run on an SQL platform, which again is an easier task. It helps the user in data analysis on Amazon S3 using SQL. Being serverless, it comes with zero infrastructure requirements. Since it uses SQL, so it is accessible to anyone with very basic knowledge of query language processing. Thereby, reduces the overhead expenses of database administrator. 3. 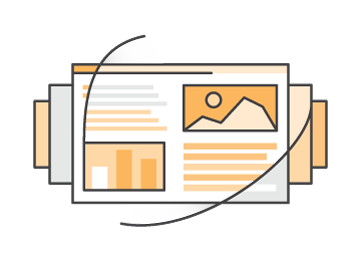 Amazon Kinesis Data Firehouse: This API helps the users to analyze data using the business intelligence tools and dashboards that are already available. This helps in loading streaming data into analytics tools. The streaming data gets loaded onto Amazon S#, Amazon Redshift, Amazon Elasticsearch Service and Splunk. The overall idea behind is to minimize the size of the streaming data before loading so that the storage space is leveraged. 4. Amazon Kinesis Data Streams: This API is used to build user-specific applications that analyze the streaming data for customization requirements. It helps in collecting huge data from various sources at a time such as data collected from different websites during transactions. 5. Kinesis Data Analytics: Using SQL the customer can analyze the real-time insights from streaming data. It allows the users to further build their own applications to query the data that is streaming. This ensure that customer requests are being served promptly. Similarly, there are various APIs for machine learning and AI that helps the developers to enhance their analytical skills. These emerging trends are the baseline of the advanced and managed services. i2k2 Networks is an advance partner of AWS where our team of IT professionals provides support for fully managed Amazon cloud computing services in India. We assure the users with the best-in-class solutions for all your cloud computing needs. You can contact us on +91-120-466 3031/+91-120-466-3000 or can fill out our inquiry form. We are here to help you 24x7x365.